France has become the main drag on Europe’s economy, and the only places where no one has noticed are Paris and the financial markets. The Markit euro zone purchasing managers’ indices for November confirmed that France is pulling the euro zone down, with the manufacturing sector continuing to deteriorate and services back on the downward trend. That was in line with France’s shock third-quarter decline in GDP, released last week. Meanwhile, François Hollande and his ministers keep insisting that the economy is growing again, or will soon. All that’s needed is to wait a bit. Wherever one looks, the French economy gives no sign of vitality. The longstanding economic malaise is compounded by a deep political crisis that has seen Hollande and his ruling socialists trump all records for unpopularity. Yet markets don’t care. France’s 10-year bonds are yielding 2.3 percent; the spread over equivalent German debt is just 54 basis points, compared with a crisis peak of 190 basis points. Why the Gallic shrug? France has a large domestic investor base, and is a favourite among Asian central banks eager for euro-denominated assets that pay a higher return than German debt. Hedge funds have tried shorting French bonds, and been burnt. Markets may view France as a doomed ship, but there’s no obvious political or economic iceberg in sight. Rating downgrades could bite one day … but not now. The trigger for a French reassessment could come from the infamous tapering of quantitative easing by the U.S. Federal Reserve. If its bond purchases are trimmed next year, U.S. yields will rise, and France’s with them. The fallout would only be partially mitigated by the European Central Bank’s willingness to keep monetary policy loose. The euro zone’s new dynamics are also a possible catalyst. France has benefitted from the flight of investors from southern countries. They haven’t returned yet, in spite of the periphery economies’ improvement – France now has a trade deficit with Spain. And Italy could one day have a stable, reform-minded government, making French debt less attractive. France needs its neighbours to stay in as bad a shape as it is. That is unlikely to last. 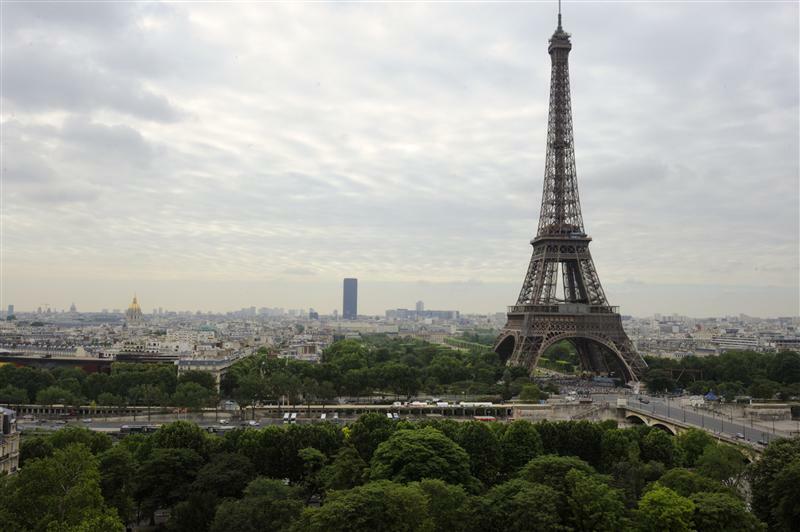 French business activity shrank in November after two months of growth, a survey showed on Nov. 21, suggesting the euro zone’s second-biggest economy may be slipping back into recession. Weaker-than-expected activity in both the services and manufacturing sectors dragged Markit’s composite purchasing managers’ index down two points to a five-month low of 48.5. A figure below 50 marks contraction. Standard & Poor’s cut France’s sovereign credit rating on Nov. 8, while the OECD warned the country over the slow pace of its reforms on Nov. 14. French 10-year bonds yielded 2.24 percent on Nov. 21, equivalent to a spread of 54 basis points over similar German debt. The spread reached a peak of 190 basis points in November 2011.